To celebrate the release of the versatile and ever inspiring Power Pulses cookbook, we've rounded up a team of Happy Foodies to cook from the book. We'll be sharing our efforts over the week to show you what it's like to cook from Power Pulses at home. What I thought: I am a bit of a pulses novice. The closest I've come to successfully incorporating these nutritious little superfoods into my diet is tentatively picking up a tin of chickpeas in the supermarket every now and again, and almost certainly not doing them justice when I get them home. Enter Power Pulses. 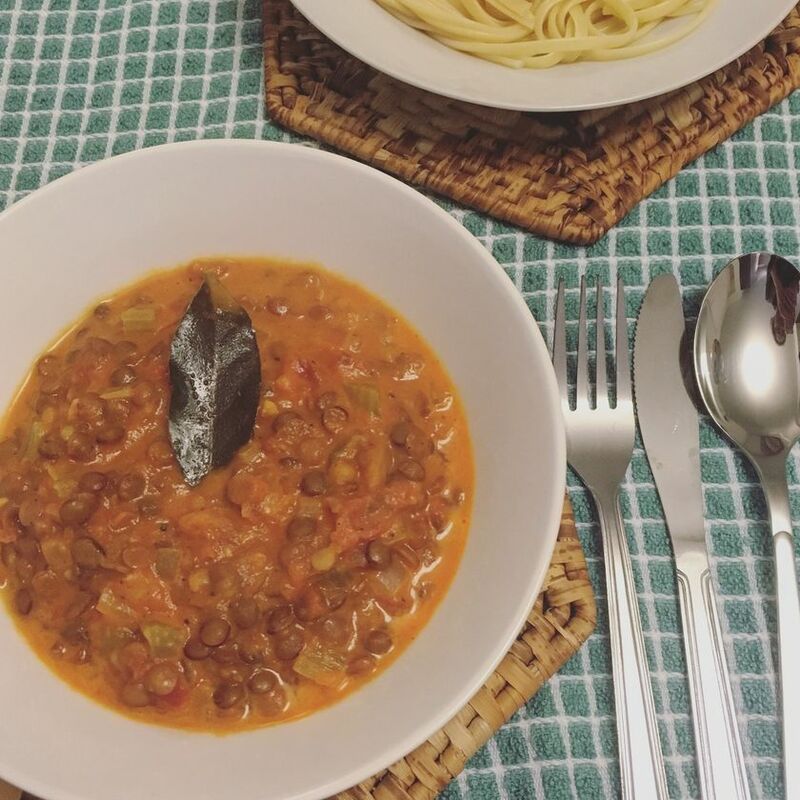 I tested the Dal Bolognese which was tasty, comforting and so simple to make. It only required the use of one pan (bonus!) and it was pretty much a case of throwing everything in and leaving it to simmer away for just over half an hour. The addition of nutmeg is genius. I've made plenty of bolognese sauces before but the subtle warmth of even just a quarter of a teaspoon added a new depth of flavour that really enriched the sauce. I also appreciated the suggested pulse exchanges, possible meat additions and tips to make it vegan, meaning the recipe could be reinvented a number of times depending on the occasion or dietary requirements of diners. The recipe states that it serves eight so I halved the quantities but it would be the perfect meal to serve to and satisfy a large group. I'm looking forward to testing out more recipes from Power Pulses and have my eye on the Sweet Potato Lentil Shepherd's Pie and Sweet Potato Adzuki. What I thought: I’m a vegetarian, and though I do try to include protein-rich beans, eggs and meat replacements in all of my meals, I often rely on wolfing down handfuls of nuts at the end of the day to make sure I’m adding enough protein into my diet. I love snacks, so I’m fine with this method, but eating unsalted nuts day in, day out does not tantalise the taste buds. This is where the Power Pulses recipe for Sumac Roasted Chickpeas comes in. With a five-minute prep time, these speedy roasted chickpeas are the perfect replacement for my nightly nut snack. Chickpeas have a similar amount of protein to mixed nuts but are far lower in fat, and most importantly, when roasted in lemon juice and sumac, taste incredible. The chickpeas are coated in a well-balanced marinade of olive oil, lemon, sumac and sea salt, before being roasted in a single layer for around three quarters of an hour. I left mine in the oven for the maximum time as I wanted to ensure a crunchy texture. 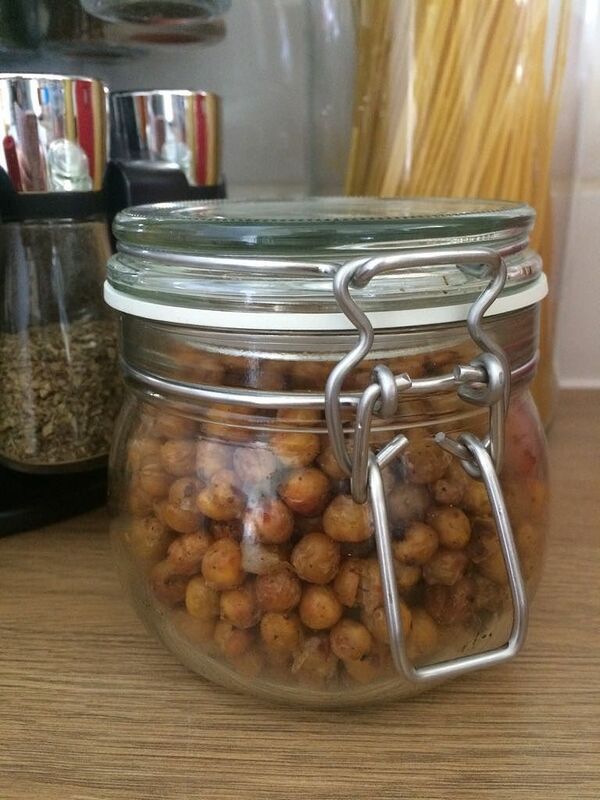 Once cooled, the chickpeas can be stored in a jar for up to three days ready for when hunger strikes. The roasted chickpeas are salty, tangy, and as the recipe states, very addictive. I’ll be making this recipe weekly to keep as a tasty and virtuous snack, and to top salads and hummus. I can’t wait to try out more flavour combinations with different citrus fruits and African spices, but the lemon and sumac combination is a match made in heaven. What I thought: Lentils, in my opinion, are a vastly underrated ingredient. They’re cheap, nutritious, filling, delicious and so impressively versatile. So I was more than just a little bit excited to get my hands on the Power Pulses cookbook, which is packed with lots of creative ways to use lentils along with a whole host of other pulses. 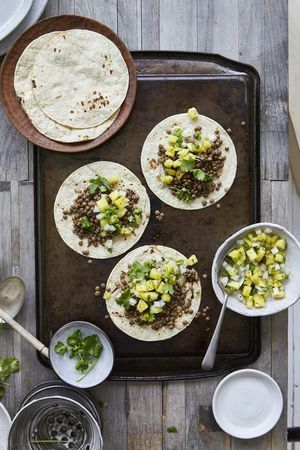 My eyes (and hungry stomach) were instantly drawn toward the Spiced Lentil Taco recipe, and knew it was going to be my Saturday night feast for the coming weekend. 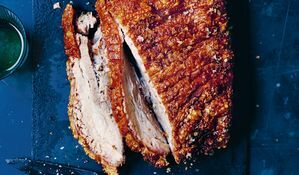 The recipe itself is incredibly low maintenance, perfect for a relaxed weekend and offers a number of variations so you can be as resourceful or lavish as you like. I made tweaks here and there, adding more spice than listed and using my oven grill rather than a griddle pan to prepare the pineapple, but these tweaks were made easily and with confidence, following such a clear recipe. The result was delicious. 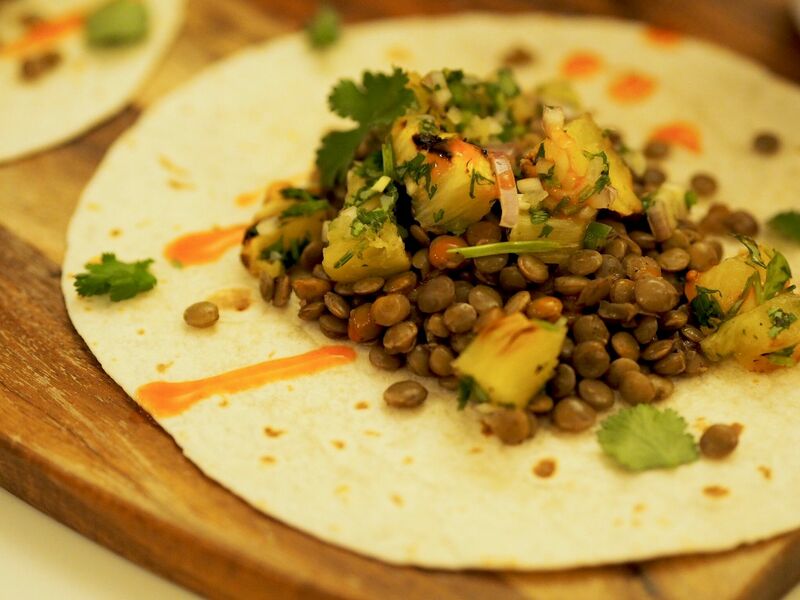 Sweet, sour and spicy pineapple salsa sits on top of warmly spiced lentils and all is wrapped up in a soft, flour tortillas. I served my tacos with hot sauce, but sour cream would’ve been a delight too. I’d thoroughly recommend this recipe, not only because it’s a mouth-watering supper, but because it’s an opportunity to showcase lentils as a star main ingredient, rather than as a support or as something to add bulk. Something as a self-confessed lentil fanatic, I’m very pleased to see. Want to make this dish yourself? Get the recipe here. What I thought: I really love using lentils in cooking – they are delicious, cheap and healthy, so Power Pulses, bursting with inspiring lentil-based recipes, was a cookbook I knew I wanted to try. 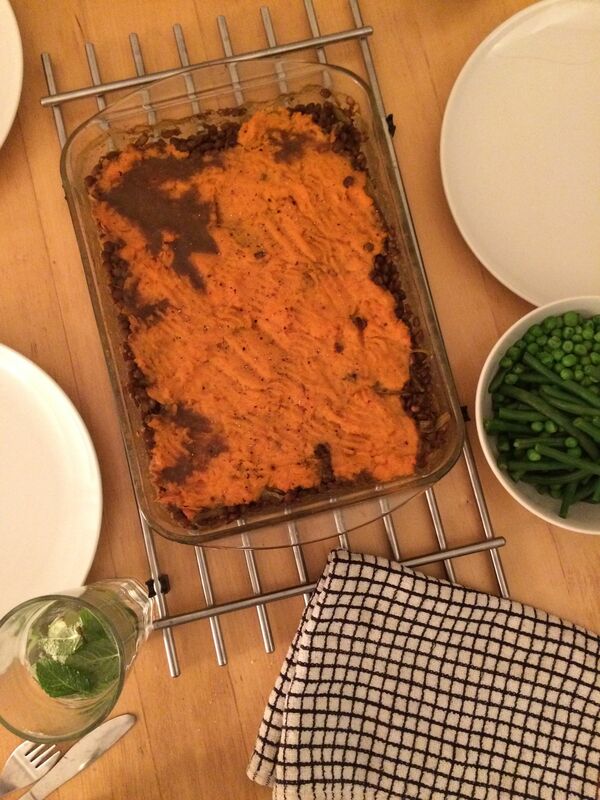 I’m always looking for twists on a classic, and when a couple of friends popped round for dinner I was instantly drawn to the Spiced Sweet Potato Shepherd’s Pie. I’ve never attempted a vegetarian version of this classic crowd pleaser, and with a simple list of ingredients, this looked like the perfect mid-week to try. It was so easy to put together; whilst boiling the sweet potato until tender, I fried an onion and garlic together until soft, and then added the green lentils. Using just a few spices which I had in the cupboard – turmeric, ground cumin, garam masala and curry powder – the flavours combined to transform the green lentils into a fragrant, warming filling. I added stock to the mix and cooked for a few more minutes. Topped with the sweet potato mash (I left out the double cream in the mash, and opted for butter instead) the shepherd’s pie happily bubbled away in the oven for 30 minutes, leaving me some time to catch up with friends round the dinner table and cook some green veggies to accompany the dish. The result? A really delicious, simple dish enjoyed by all. Lentils make the perfect, hearty substitute for mince, absorbing all the flavour of the spices and keeping a lovely texture. The dish was really light but still gave that same comforting feeling that devouring a good shepherd’s pie should. As with of the recipes in Power Pulses, this recipe gave handy twists to make the dish vegan (substitute a vegan butter alternative or rapeseed oil for the ghee) or perfect for meat-lovers (reduce the lentils by half and replace with lamb mince). So whether you’re cooking for veggies, vegans or meat-eaters, this recipe can be adapted for everyone. I’ll certainly be making this again! What I thought: So far, my unofficial resolution to meal prep more often has usually resulted in my sheepishly slipping off for a Pret soup on a lunch break. 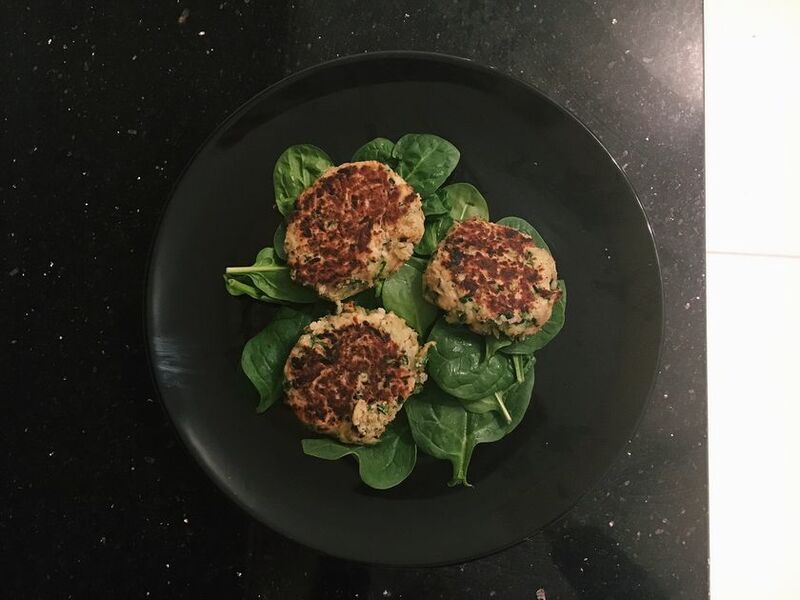 These butter bean and courgette fritters looked like the ideal meal prep solution after a busy weekend - easy to make, filling, and no expensive or hard-to-find ingredients. Power Pulses is definitely my kind of cookbook - a way to use up the many cans of chickpeas languishing at the back of my cupboard, and in this case the vegetarian fritters doubled up as a quick Sunday dinner and a Monday lunch. The courgette and butter bean fritters recipe was super simple, and the most exertion was grating the courgettes. Everything else (butter beans, egg, basil, breadcrumbs, lemon zest) went into the blender for less than a minute, and then I mixed everything together with the courgettes in a bowl. It genuinely took about five minutes! The next step was the fun part, rolling patties then frying them up for three minutes on each side. I scaled down the ingredients and made 8 patties where the recipe suggests 12. Even though some were destined for the lunchbox I couldn't resist trying them straight away and they were delicious! The texture is ideal, leaving them crumbly on the outside and soft and hot on the inside. The original plan had been to have them as part of a bigger meal, but the patties were so filling that they were perfect with a bit of spinach and a squeeze of lemon. This was a breeze to make and a treat to eat, and I'll definitely be using it again. Get hold of a copy of the Power Pulses cookbook here. For more recipes from the book try out Roasted Carrots & Chickpeas with Vadouvan Yogurt, Three Bean Paella or Spiced Lentil Tacos with Grilled Pineapple Salsa. What's it about? 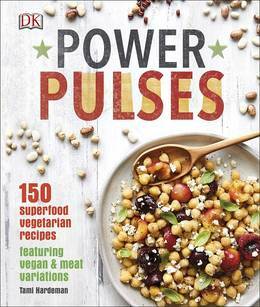 Power Pulses is a collection of 150 superfood recipes showcasing a variety of pulses from chickpeas, to lentils to dried peas and beans. An incredibly versatile cookbook, there are vegan & meat variations for many of the recipes. Pulses not only taste delicious, they’re also a great choice for both your body and the environment. These humble seeds boast substantial health benefits, and they are one of the most economical and sustainable sources of food. Do you want to buy more ethical meat? 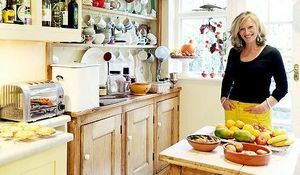 We asked Harry Eastwood, author of CARNEVAL, how to buy 'good', sustainable meat and she had much good advice to give on the subject.